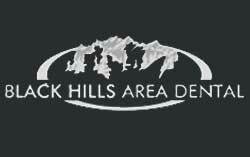 At Black Hills Area Dental we do our best to accept most major insurance plans. Call our office and let us ask around for you. We’ll gladly get in touch with you after we have made a few phone calls on your behalf. Whether you serve our country as a member of the Air Force or work at Rapid City Regional Hospital, South Dakota Tech, Wells Fargo, Ditech Financial, National American University, Black Hills Corporation, Walmart or Sam’s Club it’s likely our office accepts your insurance. Please make sure to remember to bring any insurance card or dental insurance card with you to the office. Also, for your convenience you can fill out some of our forms beforehand to save you some time. Keeping your information accurate and current with our office will help us make sure that we provide you with accurate information on your coverage. Insurance providers may change their coverage policies from time to time. We are here to help you and make working with insurance as painless and hassle free as possible. Please call our office to verify which insurance Dr. Samuelson is currently accepting.